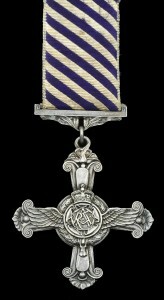 The Distinguished Flying Cross was instituted by Royal Warrant on 3 June 1918 and was awarded to officers and warrant officers of the Royal Air Force and other services for ‘an act or acts of valour, courage or devotion to duty performed whilst flying in active operations against the enemy’.  Just over 1,100 DFCs were awarded during the First World War, with 70 first bars and three second bars issued. 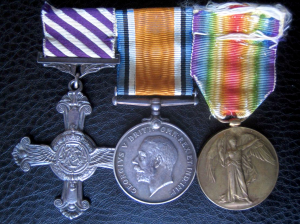 The DFC was the equivalent to the Military Cross (MC) for acts of valour on land and the Distinguished Service Cross (DSC) for acts of valour at sea. 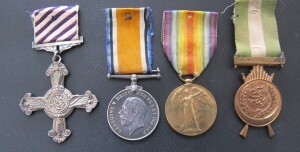 All awards of the the medal were notified in The London Gazette and carried full citations. Cast in silver, the DFC consists of a cross flory terminated at both ends of the horizontal bar and the base bar with bombs, the upper bar being terminated with a rose. Another cross, composed of aircraft propellers, surmounts the cross flory, and is charged in the centre with a roundel in which there is a wreath of laurels surrounding rose-winged letters ‘RAF’ and ensigned by the Imperial Crown. 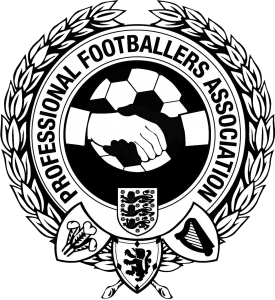 On the reverse, the Royal Cypher is embossed above the date 1918, however, there is no inscription of the recipient’s name. 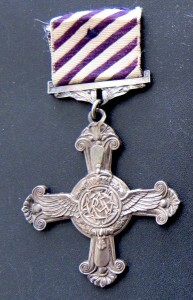 The cross hangs from a 32mm wide ribbon, composed of alternate diagonal stripes, 3mm wide, of violet and white.  Originally these stripes were horizontal but were changed to run diagonally in July 1919.